Click on cc to get English subtitles. In a season when we remember the nuclear disasters at Fukushima, Three Mile Island and Chernobyl, we can also celebrate a hard-won anti-nuclear victory. 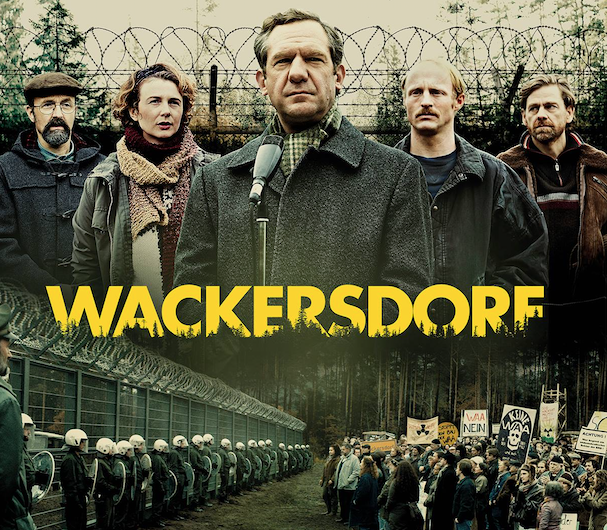 Beyond Nuclear is honored to be co-hosting a screening of a new feature film, Wackersdorf, the true story of a politician in Southern Germany who at first welcomed the prospect of a nuclear reprocessing plant in his community, then changed his mind and helped lead the protests which contributed to its cancelation. The screening will take place at the Goethe-Institut in Washington, DC on April 11 at 6:30pm. The film, a drama in German with English subtitles, will be followed by a discussion with the film’s director, Oliver Haffner, moderated by Paul Gunter of Beyond Nuclear. The event is free and open to the public. Register here. And please contact Beyond Nuclear if you are interested in screening the film. ← ‘Crash of the Pacific sardines’: 98.5% collapse since 2006. NMFS may cancel Monterey Bay 2019 and 2020 seasons.